Vulnerable road users such as cyclists made up around a third of those killed or injured on ACT roads last year. Police will this month focus on the safety of Canberra’s vulnerable road users such as children, pedestrians, motorcyclists and cyclists who last year made up around a third of those injured or killed on our roads. ACT Policing and the Justice and Community Safety Directorate have launched a joint road safety campaign for October which will focus on awareness of vulnerable road users who do not have the same protection as a car during a collision. Officer in Charge Traffic Operations, Acting Station Sergeant Marcus Boorman said all road users should be aware of their surroundings. 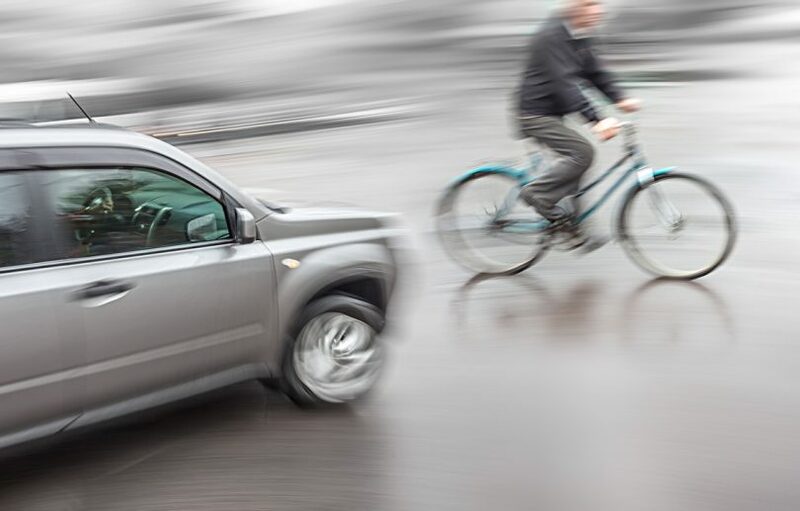 The 2016 ACT Road Crash Report released in late August revealed that four of the 11 fatalities on ACT roads last year were vulnerable road users such as cyclists, pedestrians and motorcyclists. In addition, 222 of the 748 people injured in 2016 were vulnerable road users. These figures represent 36 per cent of fatalities and 30 per cent of injuries that occurred in the ACT last year. “I urge all road users to be aware of their surroundings and be alert, particularly for vulnerable road users,” said Station Sergeant Boorman. ACT police will this month focus on the safety of Canberra’s vulnerable road users. The October road safety campaign forms part of the ACT Road Safety Strategy 2011-2020 which prioritises a Vision Zero approach to road safety. The ‘Vision Zero’ approach to road safety focuses on vulnerable road users, as well as speed management, impaired and dangerous driving and driver distraction. “Vision Zero means that no fatality is acceptable, given the enormous emotional costs to families and the community when a person is involved in a serious accident,” ACT Road Safety Minister Shane Rattenbury said when the 2016 Road Crash Report was released. What are some of the main road safety issues faced in Canberra by pedestrians, cyclists and motorcyclists? What more can be done to reduce the number of vulnerable road users being killed or injured on ACT roads? Let us know in the comments below. Vision Zero means that no fatality is acceptable . yet bring us your ice and we test it for ya. After you go back and rip off a few houses and buy more drugs bring that in and we will test that stuff for you too . Seeing the research from multiple sources shows motorists are at fault in car-on-bike collisions (according to independent police assessment) roughly 80% of the time, I hope enforcement effort is spent proportionally, where it makes a real difference to safety outcomes, on driver behaviour. Too often police take the easy way out and focus on trivialities and soft targets like bells and plastic hats, and resist doing anything about poor driving. Then the government wonders why participation takes a hit.. The vast majority of these “vehicle driver at fault” collisions are still accidental and as long as bicycles are able to mingle with road vehicle accidents will happen. Anyone heard the outcome of the incident a few months ago when a cyclist riding an illegal electric bike collided with a pedestrian on a shared path in Fadden seriously injuring her? It was reported at the time that “police were investigating”.